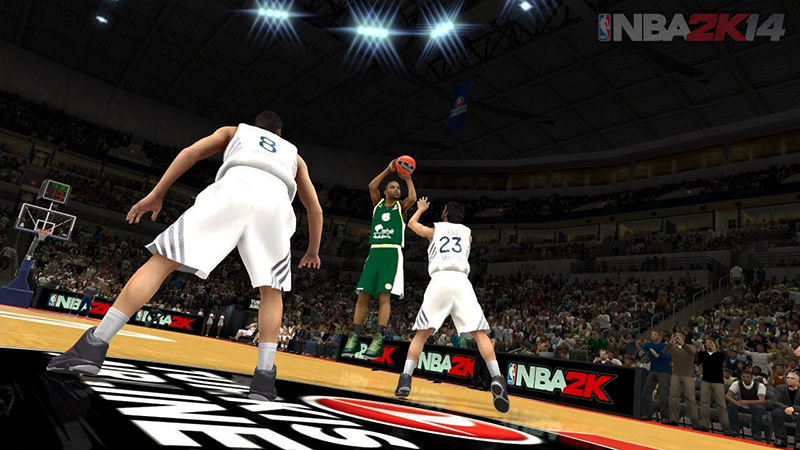 Description: More NBA 2K14 gameplay videos have surfaced yesterday, taken from Gamescom 2013. The first video showcases two teams from the Euroleague, while the second video features the Miami Heat playing against the San Antonio Spurs. Both of the raw footages of NBA 2K14 were played on current-gen consoles (Xbox 360 / PS3). There's clearly a lot of stuff that 2K Sports didn't change, such as the scoreboard style, pop-up stats design, and transition screens. Also, the overall "feel" of the game is very similar to NBA 2K13. It appears that there are so many little things that 2K Sports could've tweaked to make the game more enjoyable. Watch the videos and let us know what you think in the comment section below.